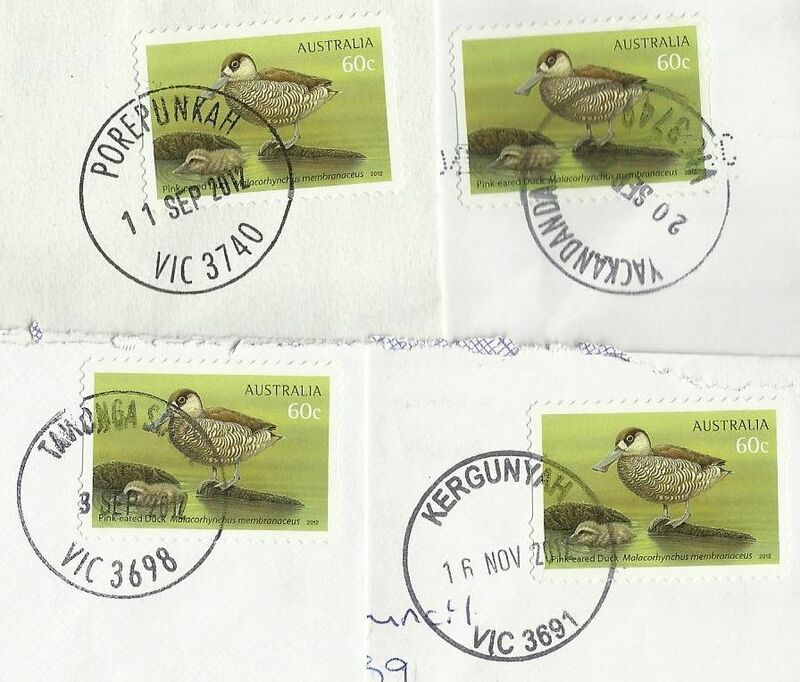 The postmarks you see here are all from small towns in the Alpine district of north-central Victoria, Australia. If you've been following this blog you will already have seen the higher value international stamps from this 2012 set which was issued earlier in the year. 60 cents is the local rate for use within Australia.